Interior Secretary Ryan Zinke (left) appointing Correct Craft CEO Bill Yeargin to the Outdoor Recreation Council. Despite the political turmoil surrounding his departure, Zinke was liked by boating industry executives. 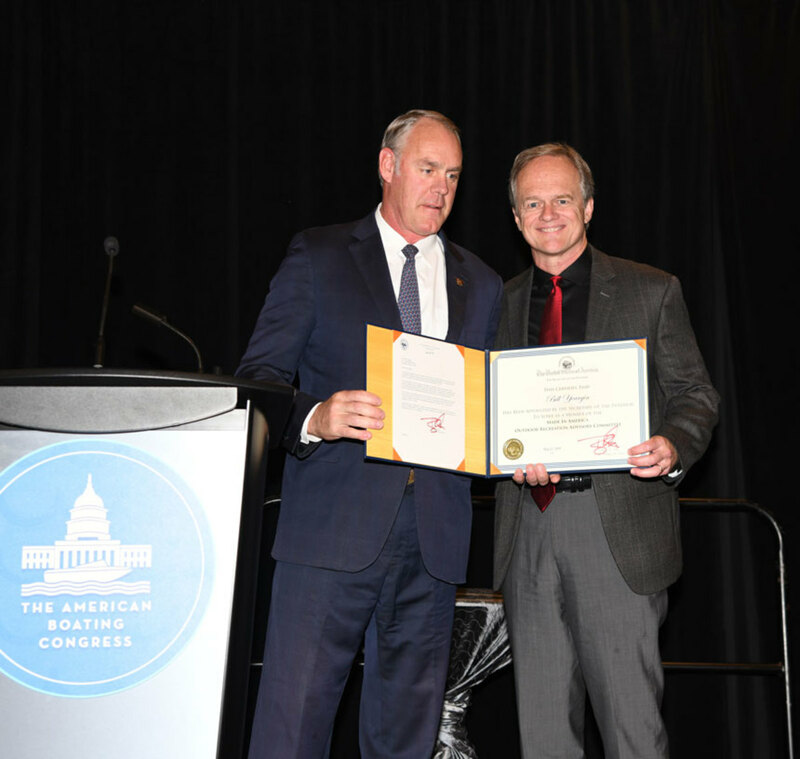 Zinke established an Outdoor Recreation Council last spring, comprising members of his department and different interests in the outdoor recreation industry. Correct Craft CEO Bill Yeargin was appointed vice chairman of the council. The White House said it would name a successor this week. David Bernhardt, Interior Deputy Secretary, was named as a possible replacement. The Post also named outgoing Sen. Dean Heller and Representatives Raúl R. Labrador, Jeff Denham, Cathy McMorris Rogers and Rob Bishop as candidates for the position. During his time as secretary, Zinke came under 15 investigations. He was cleared in several but is still facing ethics allegations about a real estate deal in his home state of Montana. He also is facing questions about the use of private airplanes while in office. The Department of Interior’s inspector general referred one of the inquiries to the Justice Department in October. The Post reported that Zinke was the most likely cabinet member to face Congressional investigations when Democrats take over the House of Representatives next year. The White House gave Zinke until the end of the year to resign or be fired.